Yet another great stall at the MBS Festival in London at the weekend was this one. Moon Dragon sell tools that are hand carved and made in India. 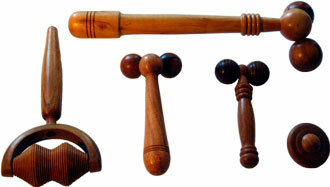 They are all made from Neem Wood. Acupressure for those of you who do not know, is a combination of Acupuncture and Pressure. You can heal yourself from many ailments by this technique as well as use it as a preventative measure. I have seem many of these tools already either at my Grandparents house or at my Mums. People in the East have been using these tools for thousands of years. I remember my Grandfather made a stick like tool for my Mum and all of his other children to help with foot reflexology. These are very common objects in lots of Asian homes. Many of these tools can be intergrated into daily life. For example, you can easily just roll your feet on a Pada 3 whilst sitting on our sofa watching TV. At the same time you will be benefiting from some wonderful Acupressure. They also sell wholesale for all of your practitioners out there. What is also great news is that Moon Dragon operate on a Free Trade Policy Agreement helping people in India. FREE SESSIONS OF Jyorei – Japanese Spiritual Healing…. Thanks. The Theme is called Spectrum by Ignacio Ricci. Its a WordPress one. I’m glad you like it.